"How to Hack windows admin?" This will teach you how to hack the windows password. You can use the above tutorial for hacking any type of windows Operating system. For Example: you can hack the latest Windows 7 also. There is only one change is required to do. i.e., You have to choose the correct Rainbow table corresponding to the Operating system that you are going to hack. 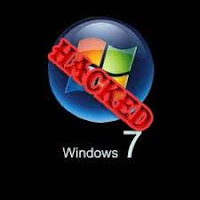 If you are going to hack the windows xp accounts(usually admin) password. Then you have to download the XP free fast (703MB) rainbow table. We all know that windows 7 is upgraded version of Vista. So the same rainbow table is used. (because same type of Hash code created by both). So You have to download the Vista free (461MB) rainbow table. How ophcrack tool impressed me? Recently i have tested this tool in my system. In order to test , i create new account with "secure123" password. When i click the crack button, i got the password within seconds. I know this is weak password. So i thought it is not big issue to crack this silly password. But when i try with my friend system, i am really impressed. Do you know why? He put the strong password for his windows 7 os( a password with upper&lower case combination,Special character,numbers). Because the ophcrack takes less than 1 seconds to crack this password. It is so interesting how the design this wonderful software.